10 Year Old Phenom Quinn at Sitsongpeenong! 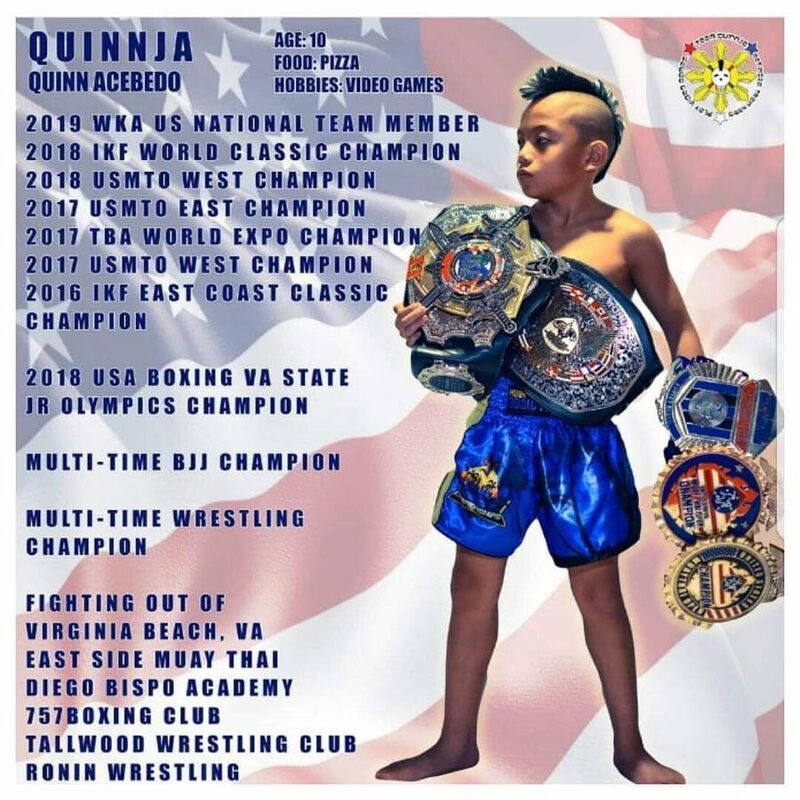 10-year old Quinn aka “Quinnja” is at Sitsongpeenong Bangkok right now, preparing for the world games that are going to be at National Stadium, Bangkok, in a couple of weeks. This American kid has accomplished more in his short life than most American nak muay – he has too many belts for him to carry, has amazing work ethic, and is striving to become the next big thing. Thank you to Quinn, his family, and his coaches for trusting Sitsongpeenong to prepare this young talent for battle. We have high hopes for young Quinnja and the world is his oyster.